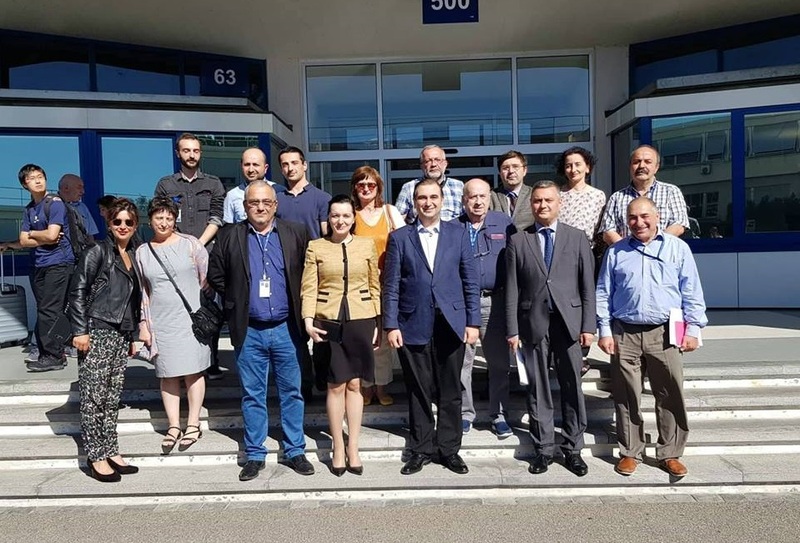 A conclusive conference was held at the Community College "Spektri", within the scope of the "Improvement of Quality of Vocational Education and Comparison of Engineering Fields in Georgia" project, where the results of the participation of the private sector and various stakeholders were presented. 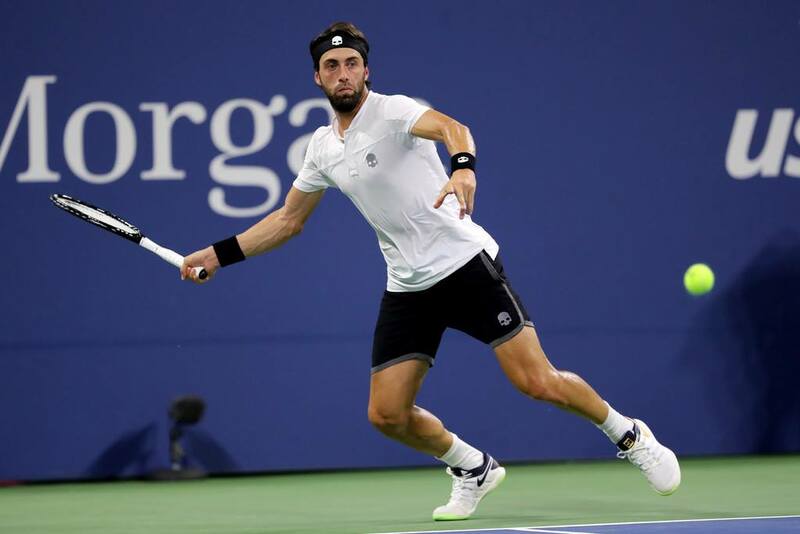 Georgian Tennis Player – Nikoloz Basilashvili, has defeated the current top 18th tennis player, Jack Sock in four sets with the aggregate result of – 4:6, 6:3, 6:2, 7:6 and has qualified to the 16th final of the tournament. With this victory, Nikoloz Basilashvili has secured 90th place in the ranking and has earned 156 thousand US dollars. 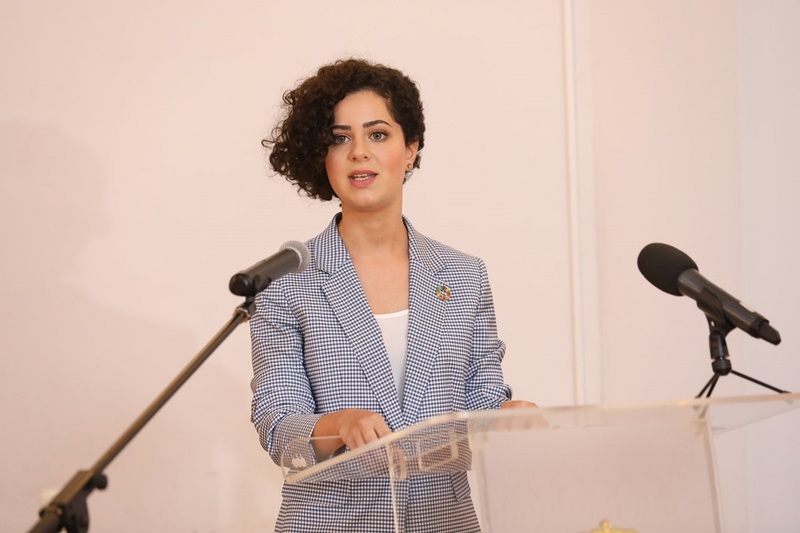 The chosen Youth Representative will travel to the United Nations Headquarters (New York, USA), where as a full member of the Georgian delegation, she will take part in the General Assembly's events and committee hearings. She will also participate in the elaboration of a youth decision. 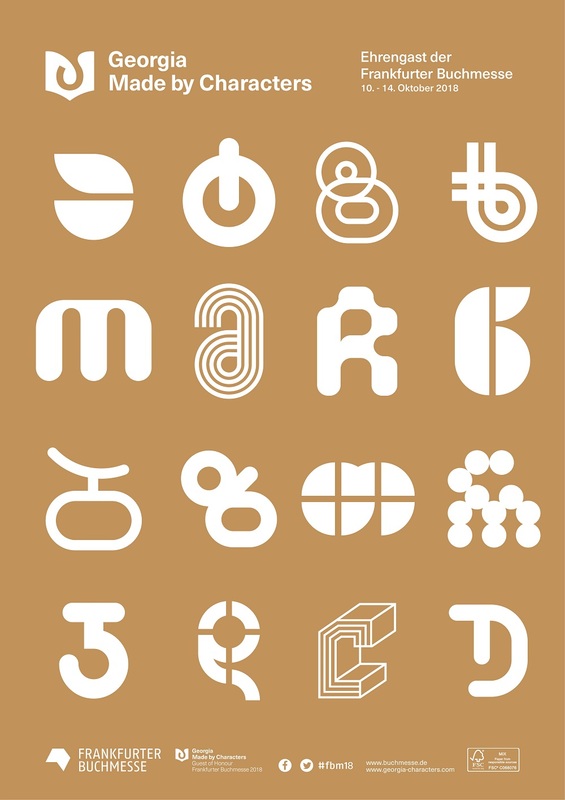 This year, Georgia is an honorary guest at the International Frankfurt Book Fair. 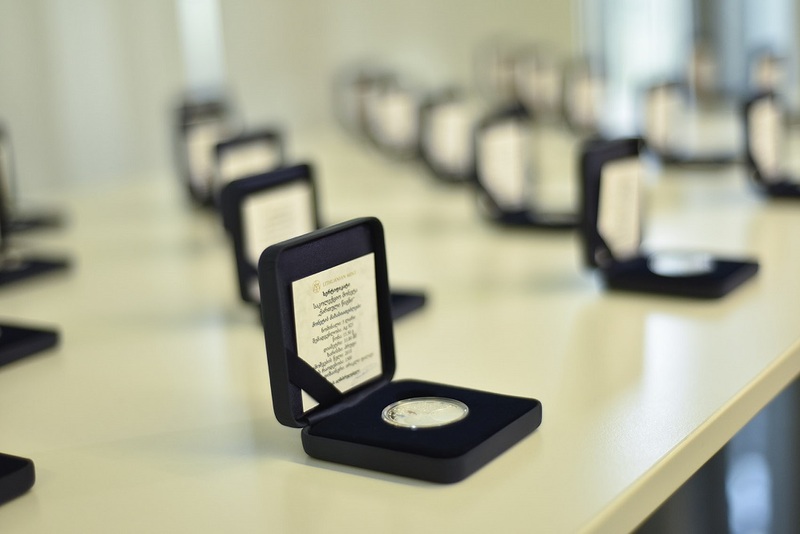 In order to celebrate this event, the National Bank of Georgia issued a Silver Collection 5 Lari Coin titled - "Georgian Book". 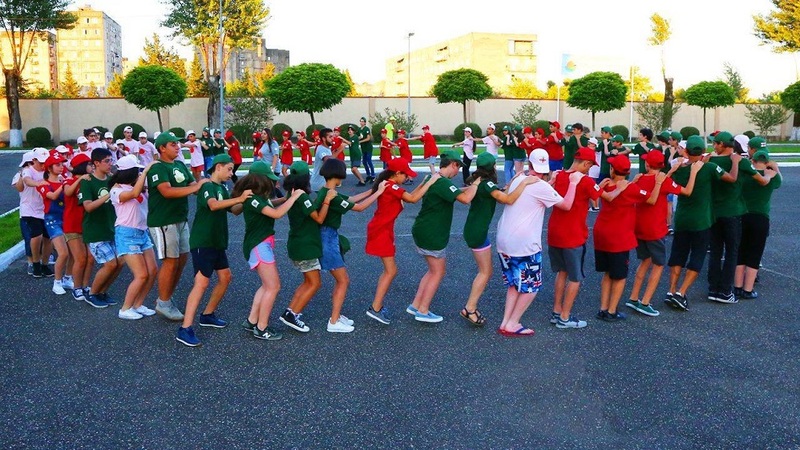 The EU funded and supported summer camp 2018 has ended, which hosted 100 young students from Eastern Partnership and EU member states. 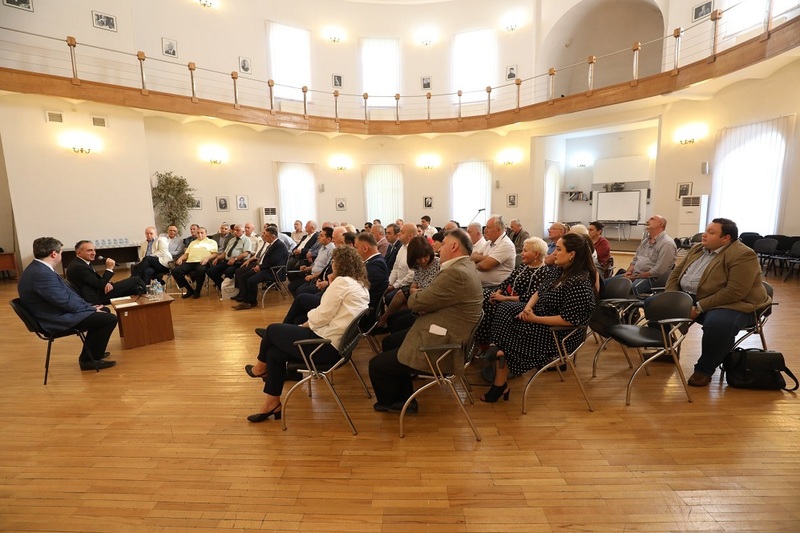 A total of 30 citizens of Georgia visited the summer camp. 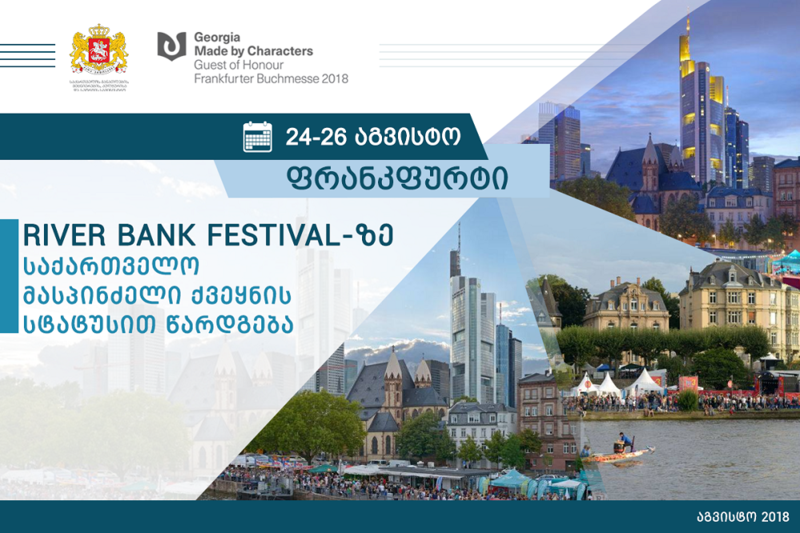 A large-scale festival - "River Bank" has ended in Frankfurt. 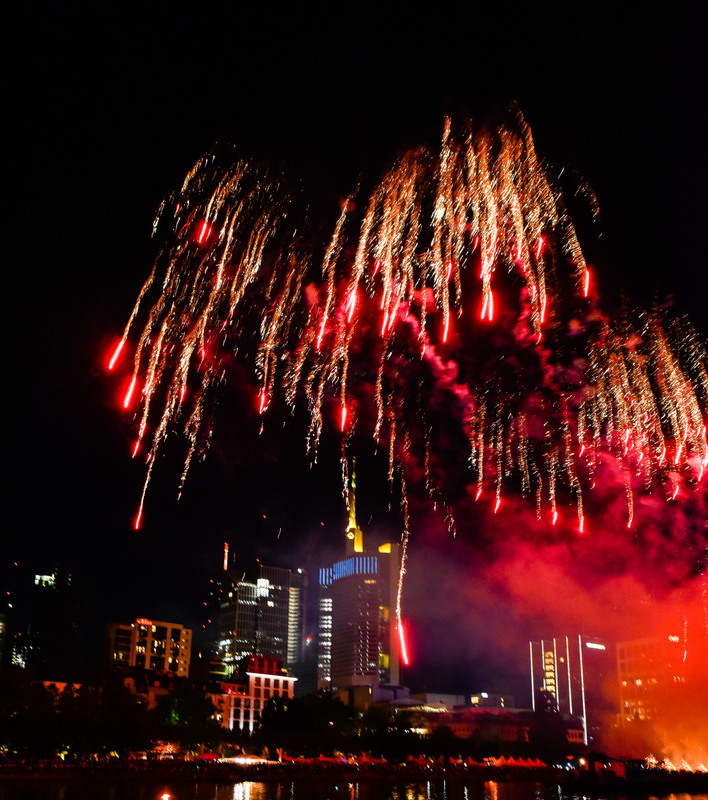 Georgia, being the host country has presented a diverse cultural and musical program at the festival. Irina Abuladze - the Deputy Minister of Education, Science, Culture and Sport of Georgia held a meeting with the Vice-President of Millennium Challenge Corporation - Cynthia Huger. The Deputy Minister informed the esteemed guest with a new vision and planned reforms in the field of education. 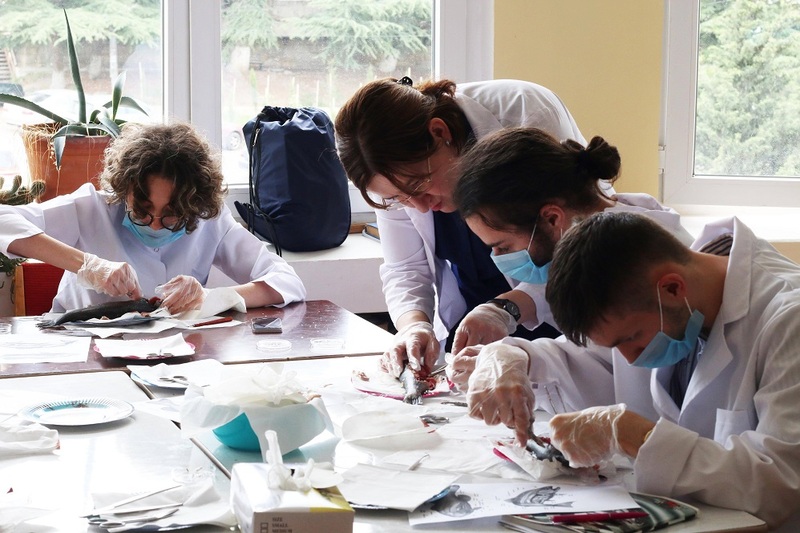 Irina Abuladze – the Deputy Minister of Education, Science, Culture and Sport visited scientific and English summer schools, met with the students and got acquainted with the achievements of the young inventors. Verdi International Festival will be held in Georgia. 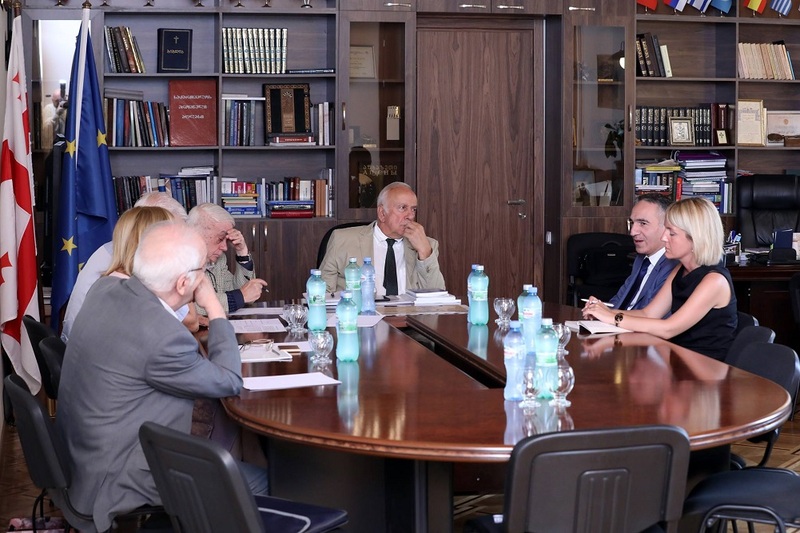 The agreement on a three-year partnership was signed with the Parma Opera House in Italy, which is the sole license owner of Verdi International Festival. 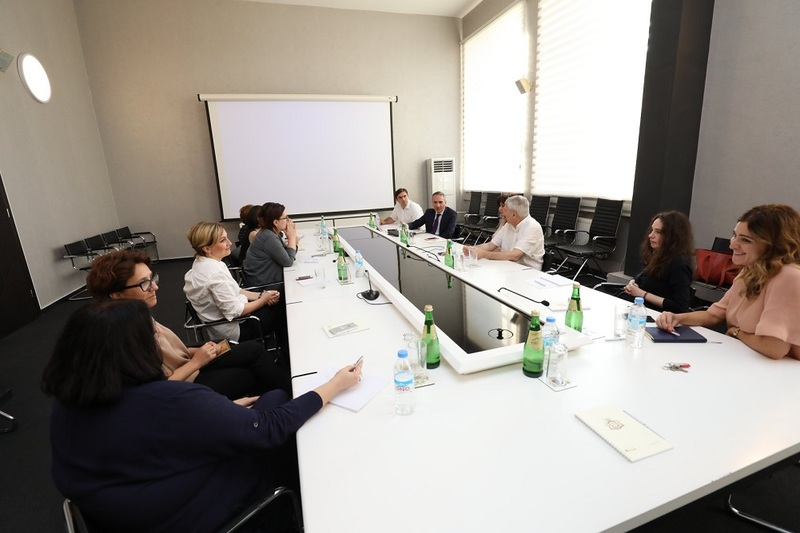 The Minister of Education, Science, Culture and Sport of Georgia - Mikheil Batiashvili together with the deputy Minister - Irina Abuladze discussed the main directions of the education reform and the general action plan with the education experts. 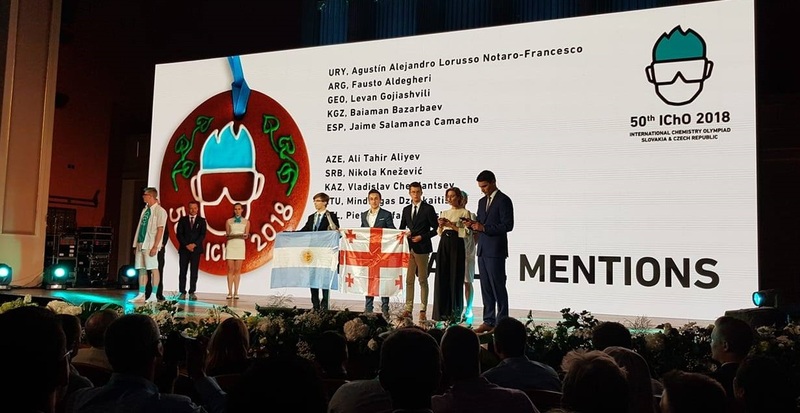 The Georgian national team returned to their home country with medals, from the 25th edition of the Central European Countries Olympiad (CEOI) in Information Technology, held in Warsaw, Poland. 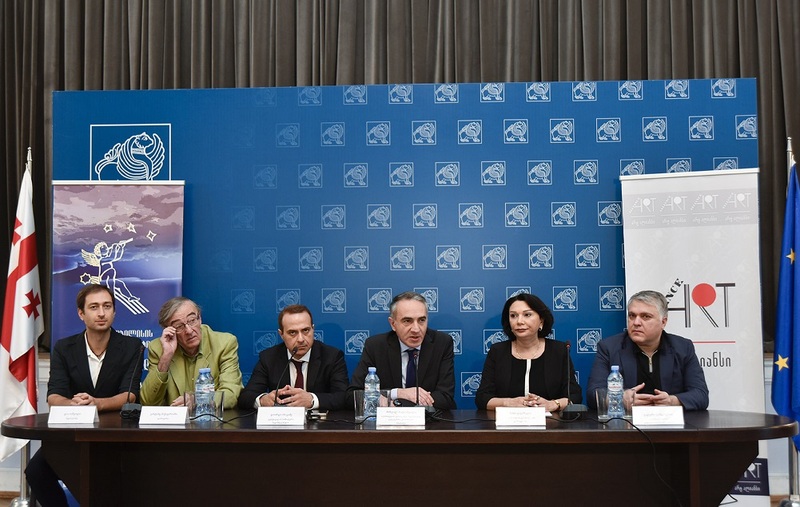 On August 22, the Ministry of Education, Science, Culture and Sport held a press conference regarding the Batumi-Tbilisi International Festival - "Night Serenades". 2018 წლის 9 ოქტომბერს იხსნება ფრანკფურტის წიგნის ბაზრობა (Frankfurter Buchmesse), რომელზეც საქართველო საპატიო სტუმარი ქვეყნის სტატუსით წარდგება. 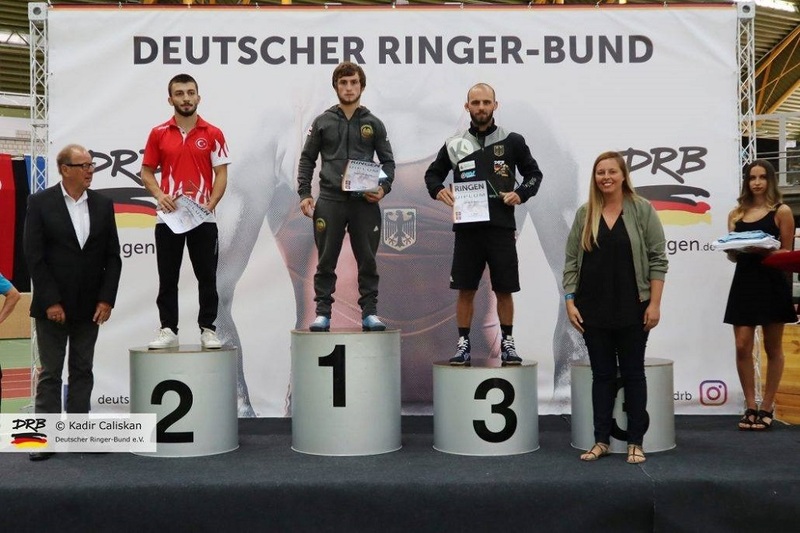 Members of the Georgian Greco-Roman wrestling team have won 2 gold and 2 bronze medals at the German Grand Prix, held in Dortmund, Germany. Mikheil Batiashvili - the Minister of Education, Science, Culture and Sport of Georgia spoke about the issues of priority, current situation and future plans in the field of science, at the meeting with the President of National Academy of Sciences - Giorgi Kvesitadze and other famous Georgian scientists. 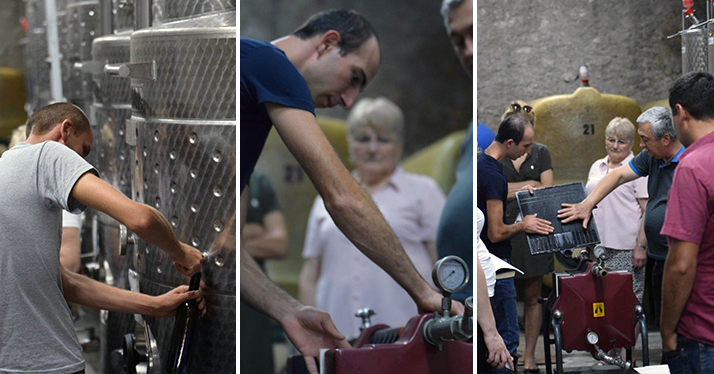 Robotechnics Summer Camp was closed in Kutaisi, where approximately 1500 teenagers spent their summer holidays and had the opportunity to get acquainted with modern technological innovations. Presentation of the catalog - "Alphabet as History" dedicated to the history of Georgian alphabet and its manuscript was held at the Georgian Art Palace. 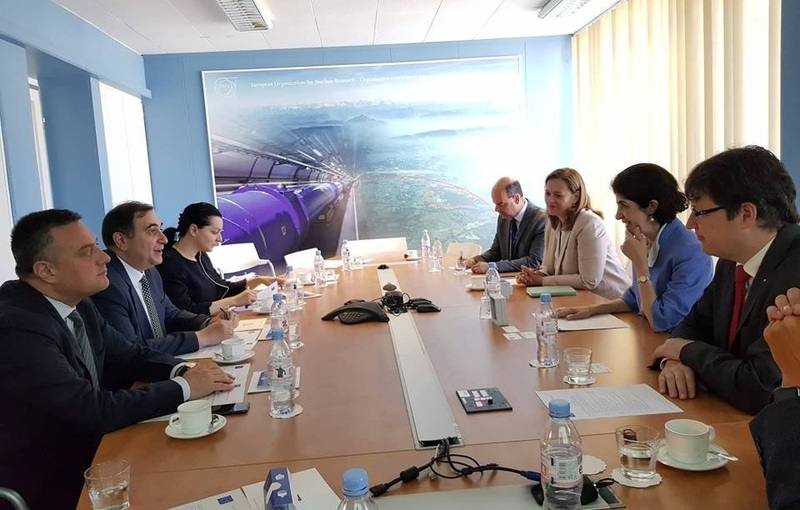 The Minister of Education, Science, Culture and Sport - Mikheil Batiashvili together with the deputy Minister - Irina Abuladze discussed the main directions of the planned reforms in the field of education with the World Bank regional director - Mercy Tembon. 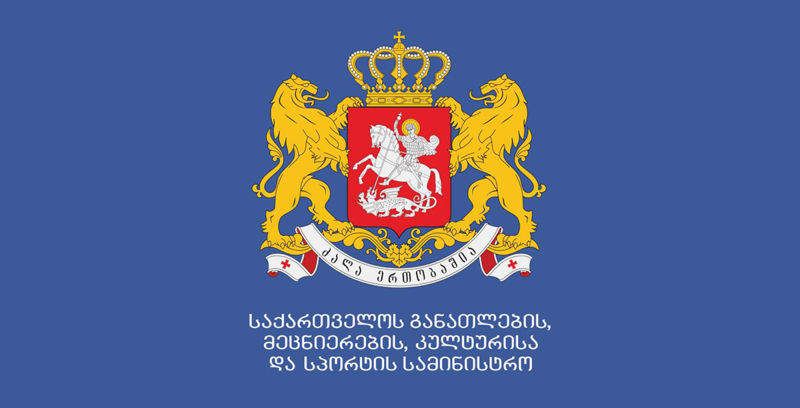 Owing to the Decree of the Government of Georgia, for the academic year of 2018-2019, the annual state grant scholarship for a 60-credit teacher educational program, has been amounted to 1,498,500 GEL. 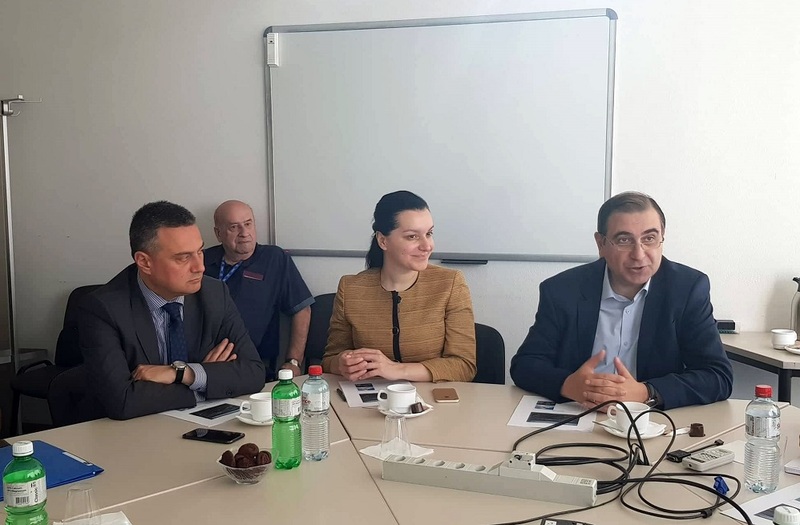 The Minister of Education, Science, Culture and Sport of Georgia - Mikheil Batiashvili held a meeting with the representatives of leading international technology companies – Hewlett Packard (HP), "Microsoft" and "IBM” on planned reforms in the field of education. 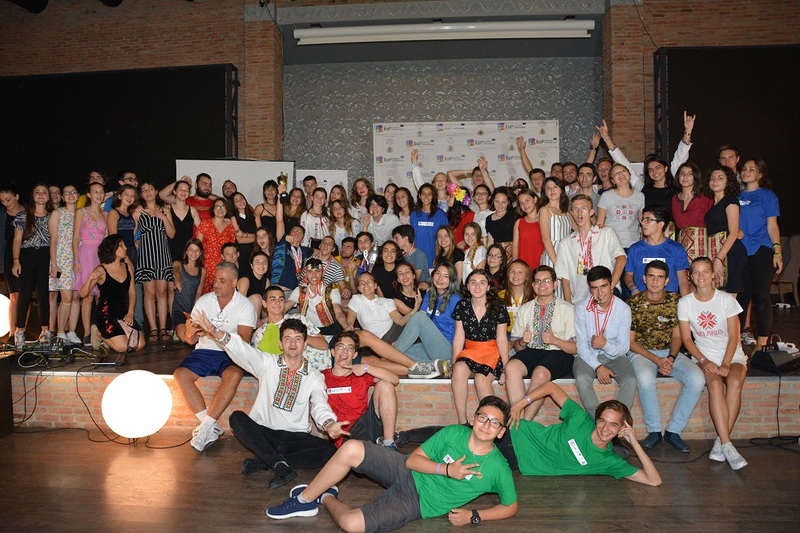 Owing to the financial support of the European Union, within the European Youth Day framework - European Summer Camp 2018 has opened, where 100 young individuals from the Eastern Partnership and EU member States will participate. Within the scope of the priority educational programs, the Ministry of Education, Science, Culture and Sport continues to support the funding of students enrolled in the corresponding course in the 2018-2019 academic year. Mikheil Batiashvili: "substantial changes are needed in the Education system"
Mikheil Batiashvili informed the members of the Education, Science and Culture Committee of the Georgian Parliament regarding the reforms planned by the Ministry for the coming future, and emphasized, that its implementation is already underway. Additionally, he stated that the involvement of all stakeholders, including the legislative body is crucial to the entire process. 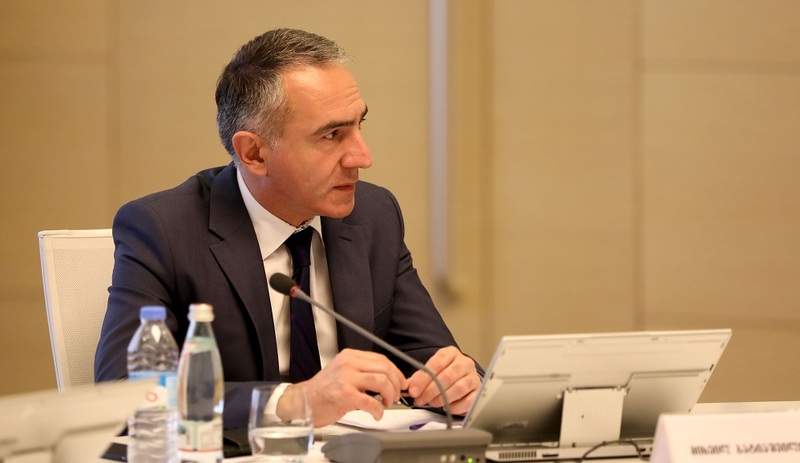 Mikheil Batiashvili - the Minister of Education, Science, Culture and Sport of Georgia presented the Educational Training Programs at the government session today, which will facilitate the introduction of young and talented teachers to the education system and, hence enable the development of the general education platform. Mikheil Batiashvili - the Minister of Education, Science, Culture and Sport of Georgia presented the issue of grant funding of the graduate and postgraduate students at the government meeting. The new initiative will give talented students the opportunity to receive higher education though state support. 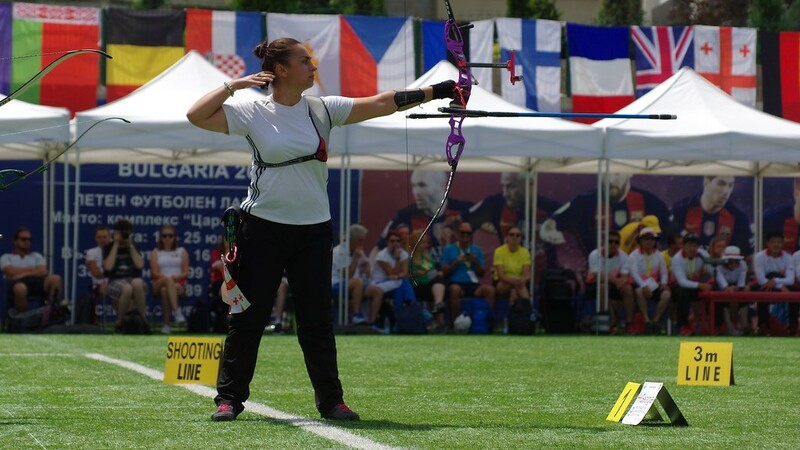 The European Archery Grand Prix was held in Sofia, Bulgaria, where the Georgian Women’s National Team was held victorious. 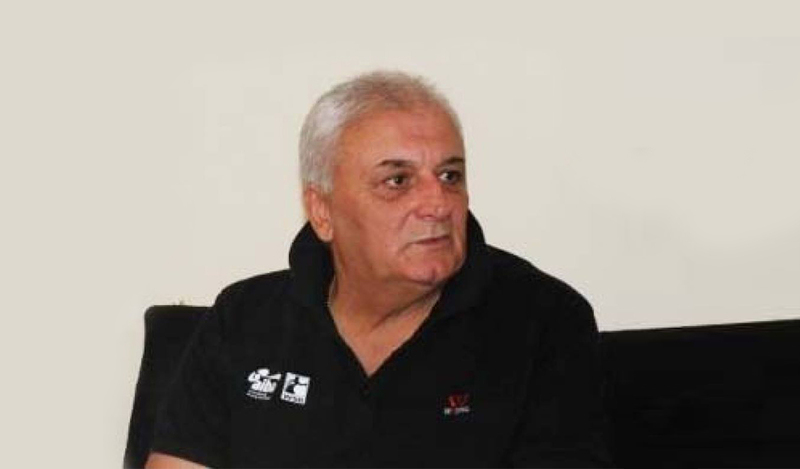 The national team was composed of the vice world champion Kristine Esabua, and a mother-daughter duo - Khatuna Narimanidze, and Tsiko Putkaradze. 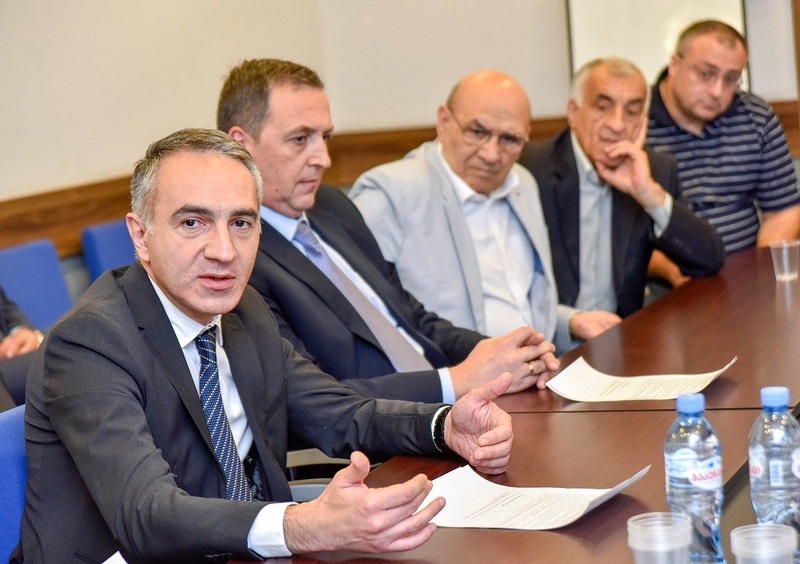 Owing to the decision of the Minister of Education, Science, Culture and Sport of Georgia - Mikheil Batiashvili, a reform group will be created over the course of preparatory education reform, in which various stakeholders will be united. 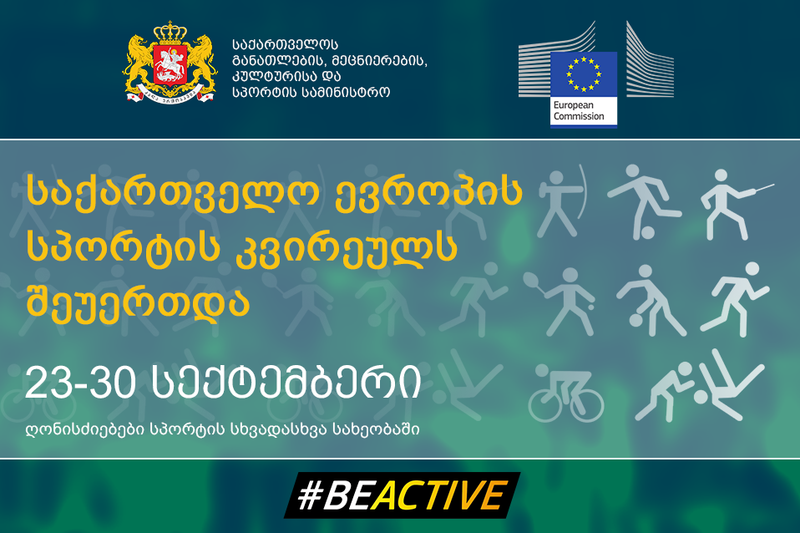 The state flag of Georgia has appeared on the official website of European Week of Sport - Georgia is one of the first non-EU countries that joined Europe's most active week of sport. The 3rd issue of the magazine "School Management" was released. Safe school environment, Inclusive Education, prevention of violence, informal education, featuring a success story of one principal – this is an incomplete list of all the topics available in the magazine. Employees of Youth Policy Management Department of the Ministry of Education, Science, Culture and Sport of Georgia fulfilled the long-awaited desire of the "Youth House" residents and handed them fictional literature and sports equipment. 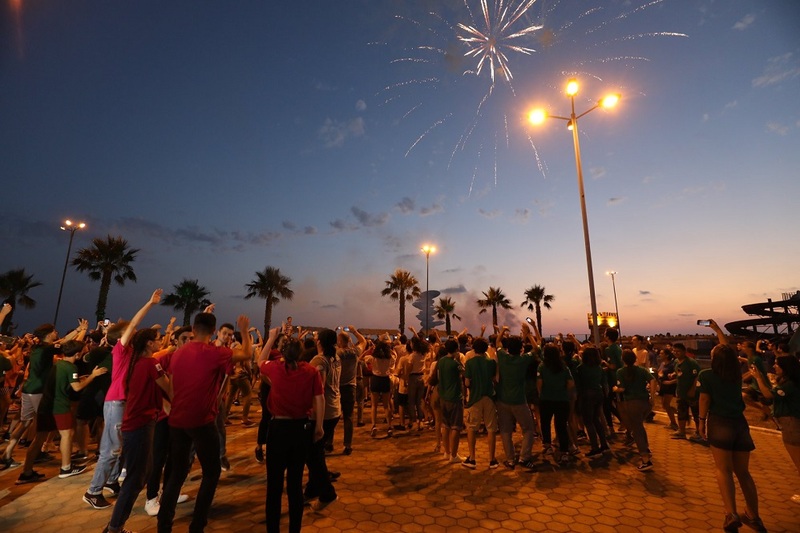 The 49th International Olympiad in Physics (IPHO) has ended, held in Lisbon, Portugal. 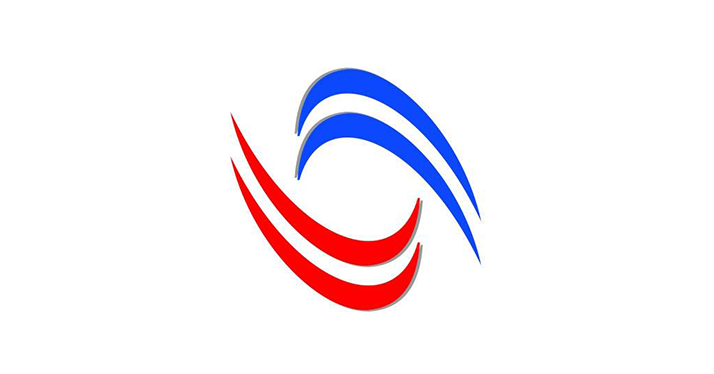 400 students from 80 countries participated at the Olympiad, including a five-member team from Georgia. 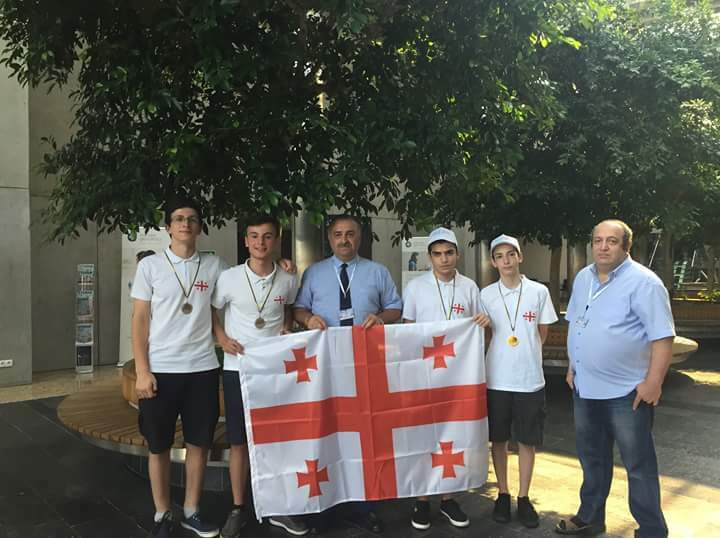 "One Day in the World of Chess"
Georgian national team has won three bronze medals and one honorary diploma at Chemistry 50th Anniversary International Olympiad (ICHO-2018), which was held in Bratislava (Slovakia) and Prague (Czech Republic) this year. About 300 students from 82 countries participated in the Olympiad, this year. Mikheil Batiashvili - the Minister of Education, Science, Culture and Sport of Georgia, attended the graduation ceremony at Tbilisi State University. Mikheil Batiashvili – the Minister of Education, Science, Culture and Sport attended the graduation ceremony at Caucasus University with professors and lecturers at the newly construction university campus. 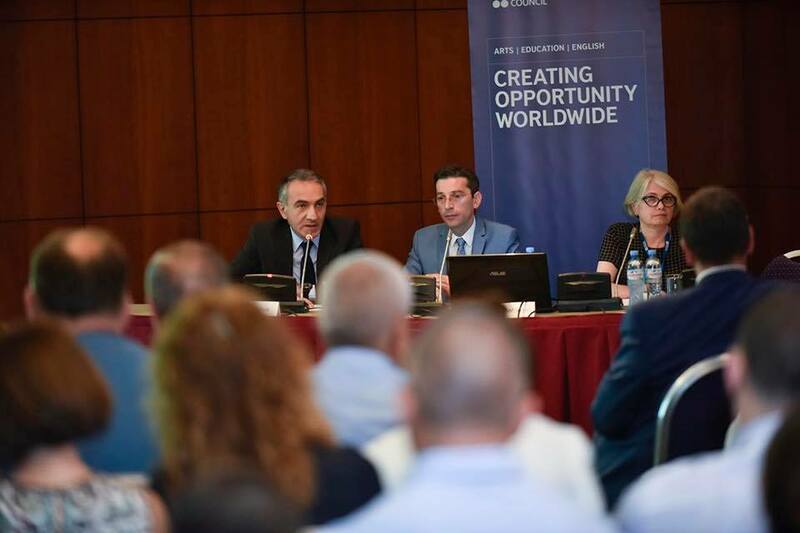 The British Council held a presentation of the - Creative Spark: Entrepreneurial Education Program at the hotel Courtyard Marriott, that was attended by the Minister of Education, Science, Culture and Sport of Georgia - Mikheil Batiashvili. 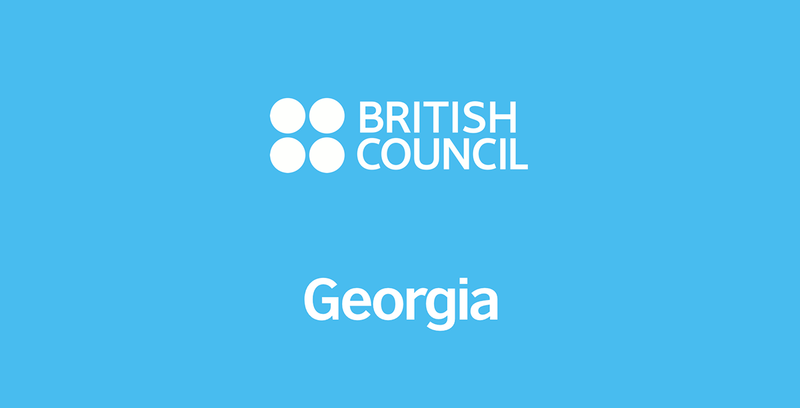 The British Council starts a five-year project titled Creative Spark: Entrepreneurial Educational program, which aims at reforming the higher education, in conjunction with encouraging student employment in Georgia. About 1,500 teenagers will have the opportunity to get themselves acquainted with the technology innovations at the summer camp of Robotechnic from July 15 up to August 31. 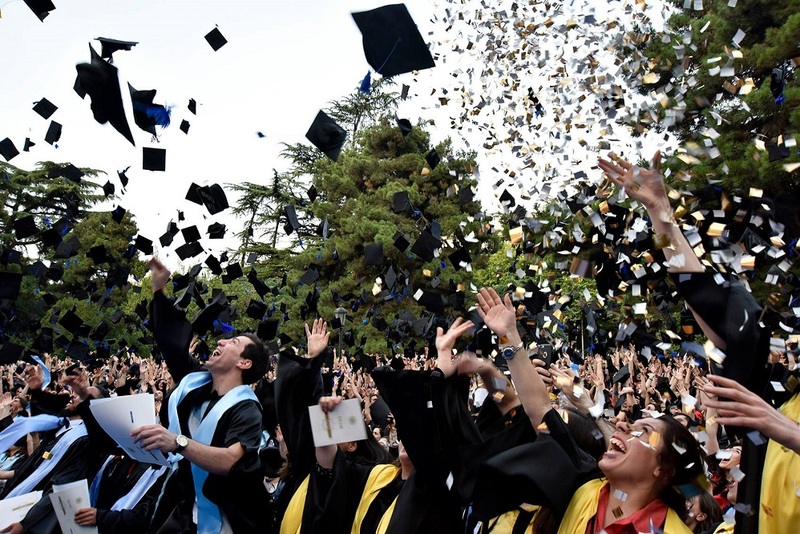 Twice a year, students of higher education institutions are given a chance to use mobility and move to another higher education institution. 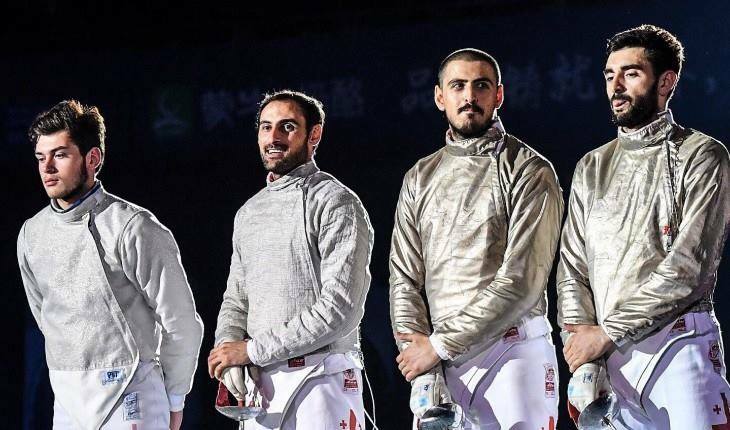 Georgian National Fencing team has won the fourth place in the World Cup championship held China and subsequently reached a historic success. Georgia has never achieved this kind of result in the past. 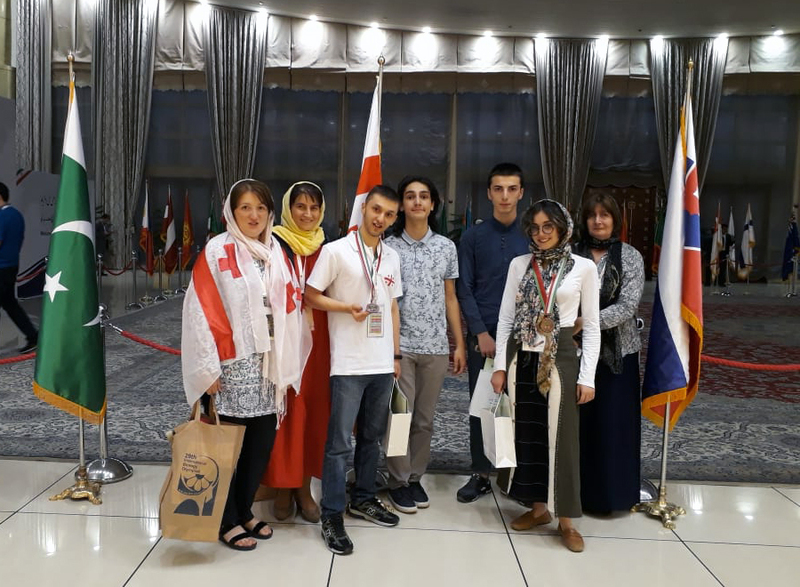 Two bronze medals and one encouraging diploma were awarded to the students returning from the 29th International Biology Olympiad, held in Iran, Tehran, on July 15-22, 2018. 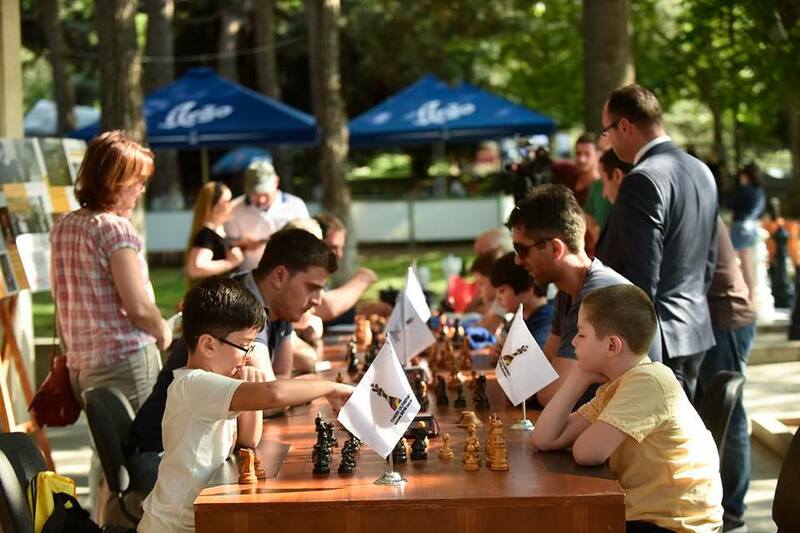 94 years ago, on July 20, 1924, FIDE – The international Federation of Chess was established. 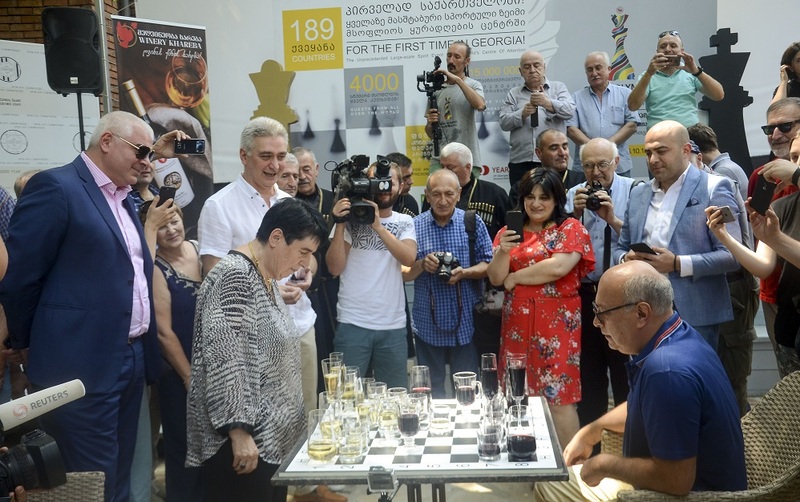 Owing to the celebration, the Georgian Chess Federation and the Organizing Committee of the 43rd World Chess Olympiad held a ceremonial event. Mikheil Batiashvili, the Minister of Education, Science, Culture and Sport of Georgia, discussed the existing problems and future plans with the principals of public and private higher education institutions in Georgia. 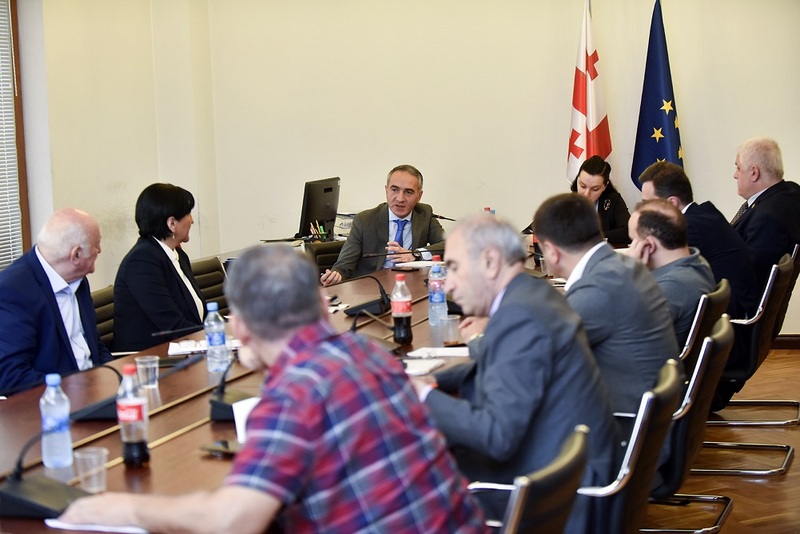 Mikheil Batiashvili – the Minister of Education, Science, Culture and Sport of Georgia together with the First Deputy Minister - Mikheil Giorgadze met with heads of art and sports educational institutions. 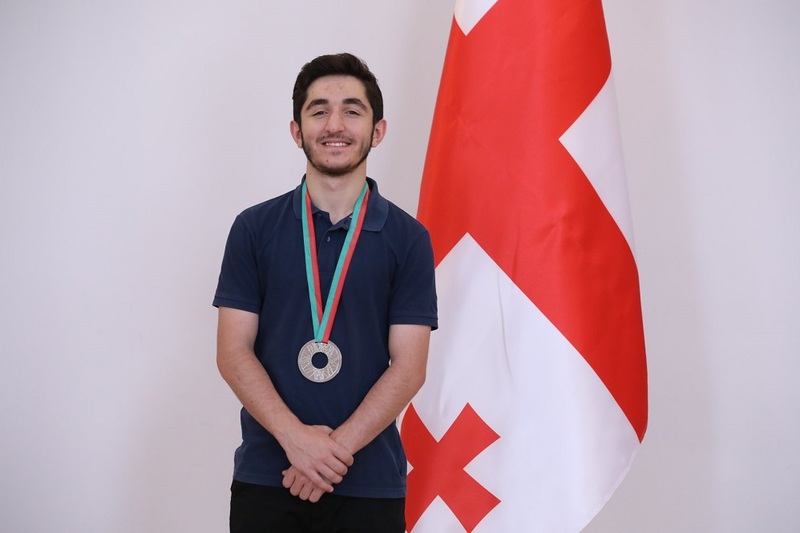 Final stage of the competition – Georgian Youth Representative at the United Nations, was held at the Ministry of Education, Science, Culture and Sport of Georgia, where the candidates who passed the third stage, presented their memorandum regarding “SDG’s, youth and Georgian reality”. 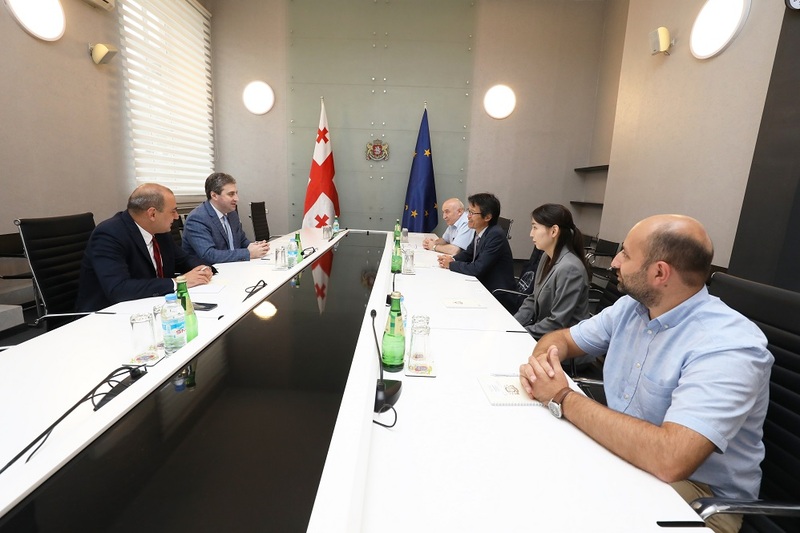 Mikheil Batiashvili, the Minister of Education, Science, Culture and Sport of Georgia, held a meeting with the First Deputy Minister - Mikheil Giorgadze together with the representatives of culture and sports department. 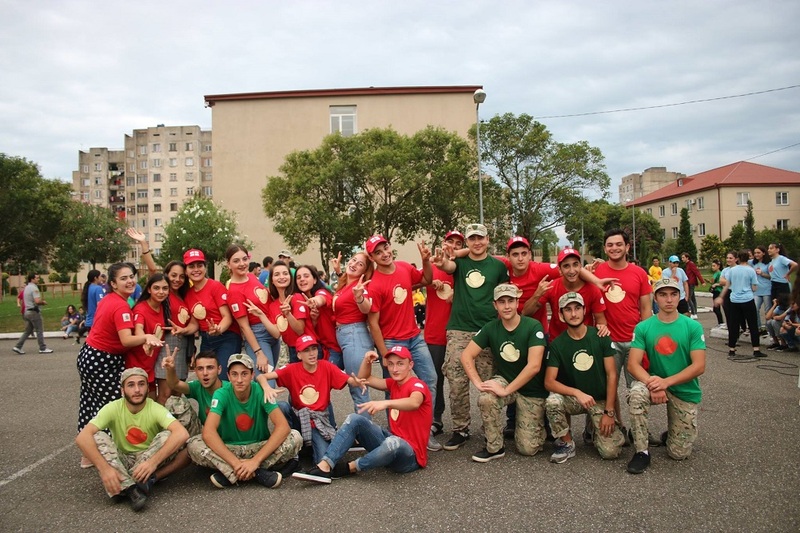 Robotechnic Summer camp is now open at Giorgi Kvinitadze Cadet Military Lyceum, where up to 1500 students ranging between 13-18 years will learn technological innovations. Sergio Mattarella – President of the Republic of Italy, visited Ivane Javakhishvili Tbilisi State University, with regard to its 100th Anniversary. The president inspected the exhibition reflecting the Georgian-Italian friendship and met with the representatives of Georgian Academia and general public. 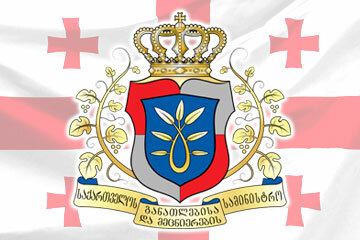 A Memorandum of cooperation has been signed between the Ministry of Education, Science, Culture and Sport of Georgia and the Ministry of Foreign Affairs and International Cooperation of the Italian Republic, to further enhance friendly relations and improve the prospects of cooperation between the two countries. 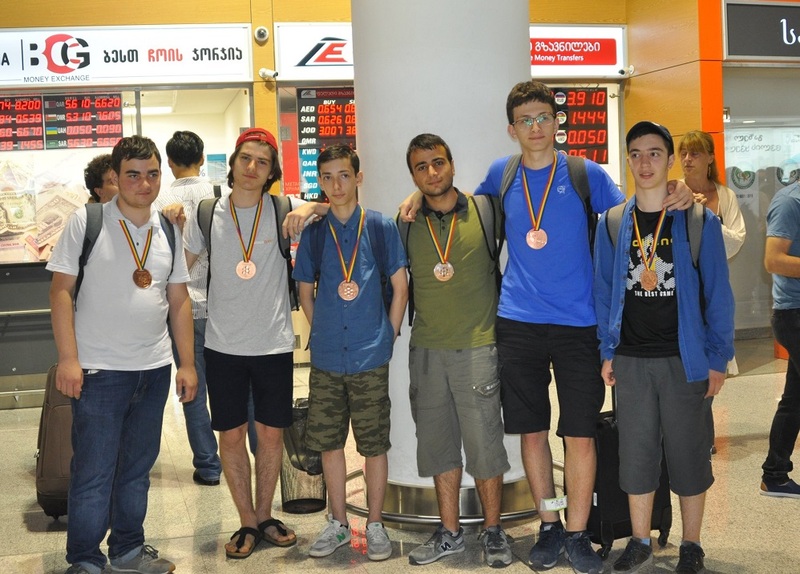 One silver and 5 bronze medals were won by the National team of six students, who returned from the 59th International Mathematical Olympiad, held in Cluj, Romania on 7-14 July, 2018. 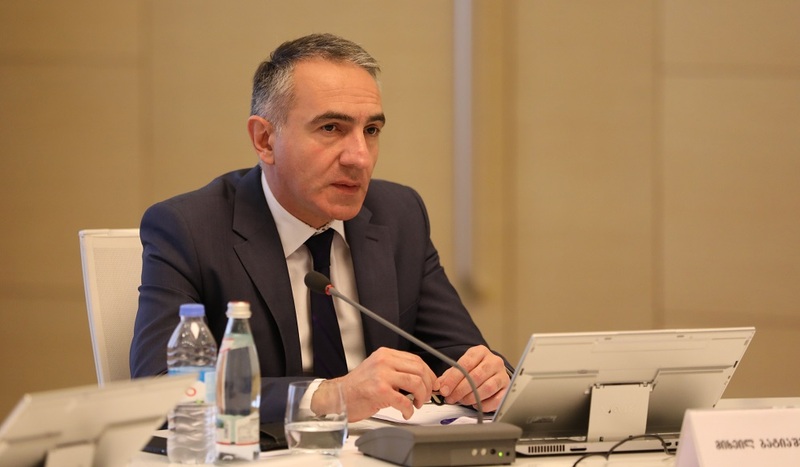 Mikheil Batiashvili – the candidate for the minister of Education, Science, Culture and Sport, whilst addressing the Georgian Parliament, stated, that the development of vocational education is one of the main goals of the Ministry, which will help to eliminate the shortage of qualified personal in the country. Mikheil Batiashvili - The candidate for the minister of Education, Science, Culture and Sports, spoke about the future plans of promotion and the development of Georgian culture. Mikheil Batiashvili - the candidate for the Minister of Education, Science, Culture and Sport of Georgia, spoke about the future plans of promotion and development of Georgian sport, during his speech, delivered to the Georgian Parliament. 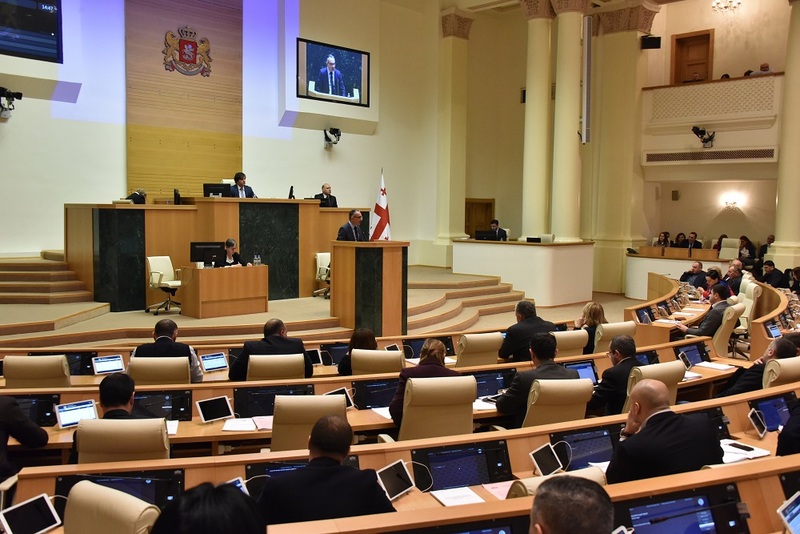 Mikheil Batiashvili – the candidate for the minister of Education, Science, Culture and Sport, specially emphasized the importance of general education while addressing the Parliament, in conjunction with explaining the importance of developing technologies in the educational platform. Mikheil Batiashvili: "Georgia should be established as an Education export country"
Mikheil Batiashvili: "My Action Plan will not be written at the office"
Mikheil Batiashvili – the candidate for the minister of Education, Science, Culture and Sport of Georgia, spoke about the concept of unification of several ministries in his speech. The retraining of pre-school coordinators, tutors and teachers has begun at the National Center for Teacher Professional Development. 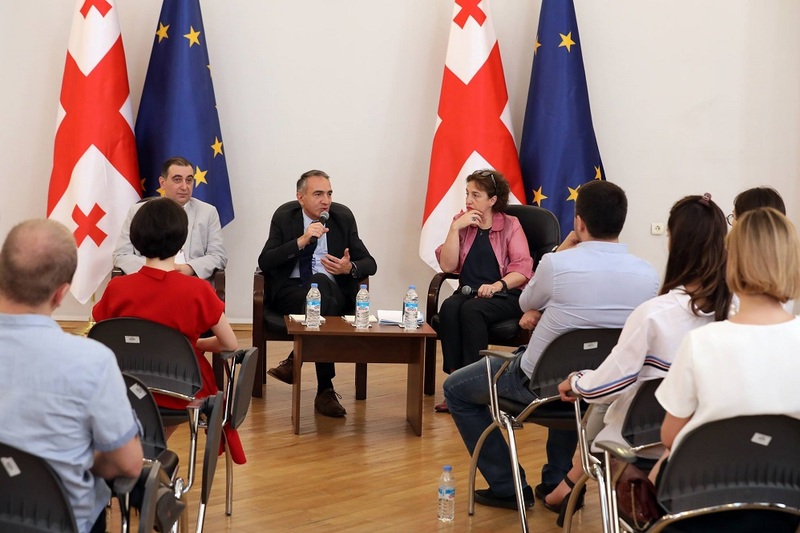 The Deputy Minister of Education and Science of Georgia – Lia Gigauri and the Director of the National Center for Teacher Professional Development – Giorgi Machabeli got acquainted with the entire training course. 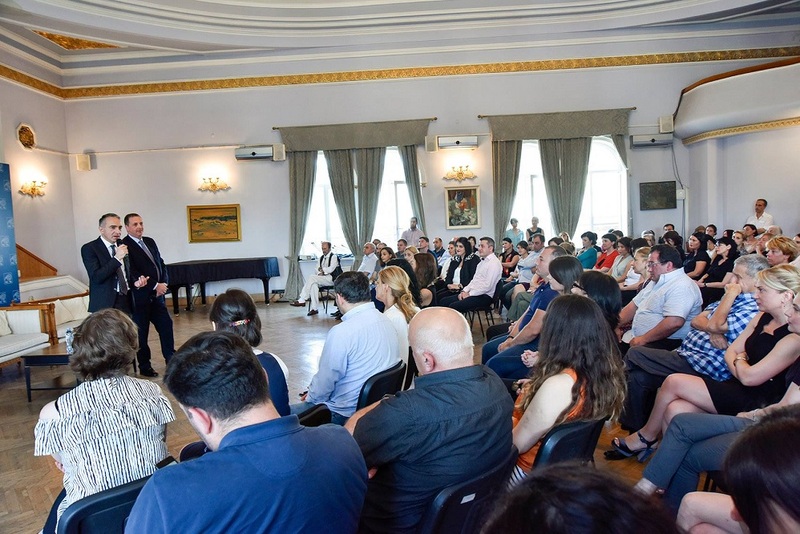 Mikheil Chkhenkeli - the Minister of Education and Science of Georgia hosted the graduates of the Fulbright master’s program and the ones enrolled in the program this year. 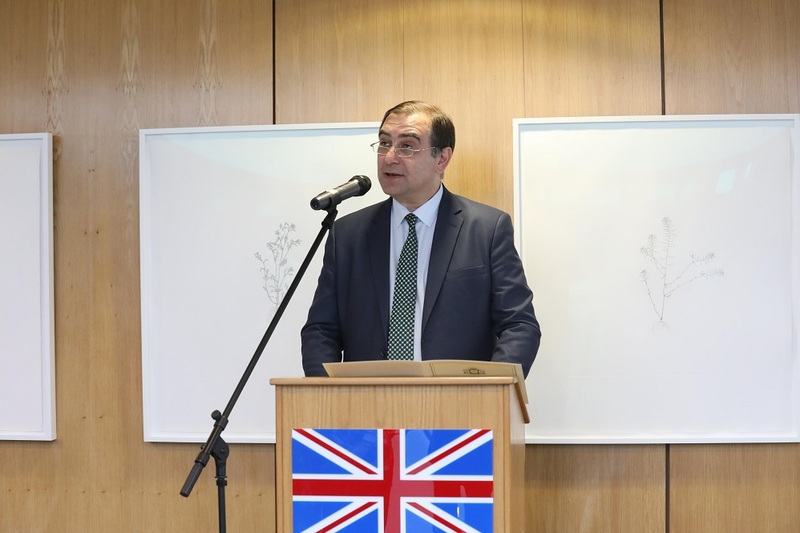 The event was also attended by US Assistant Secretary of State for Education and Culture - Marie Royce, representatives of the US Embassy and General Director of the Bank of Georgia - Kakha Kiknavelidze. Minister of Education and Science of Georgia Mikheil Chkhenkeli held an important meeting with the United States Assistant Secretary of State for Education and Culture - Marie Royce. During the meeting, the sides discussed the prospects of further cooperation between the two countries in regard to science and education. 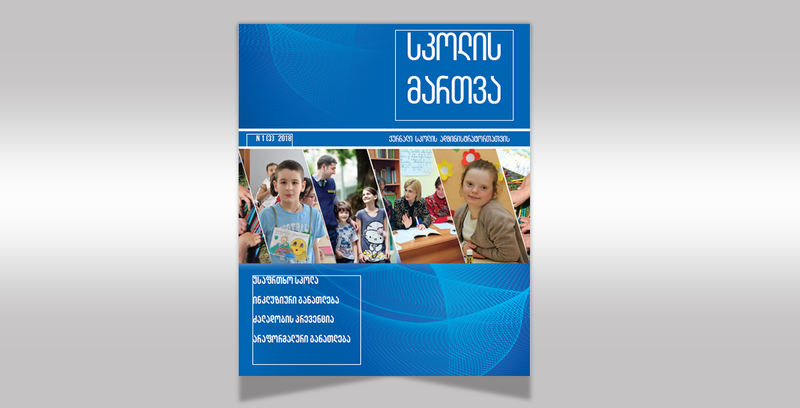 The Ministry of Education and Science of Georgia has begun a public discussion regarding the Strategy Document for the Development of Inclusive Education for the academic year of 2019-2022. An international conference - European Entrepreneur and Digital Competence Framework for the Development of the Education System of Georgia organized by the National Center for Teacher Professional Development and the European Education Fund (ETF). 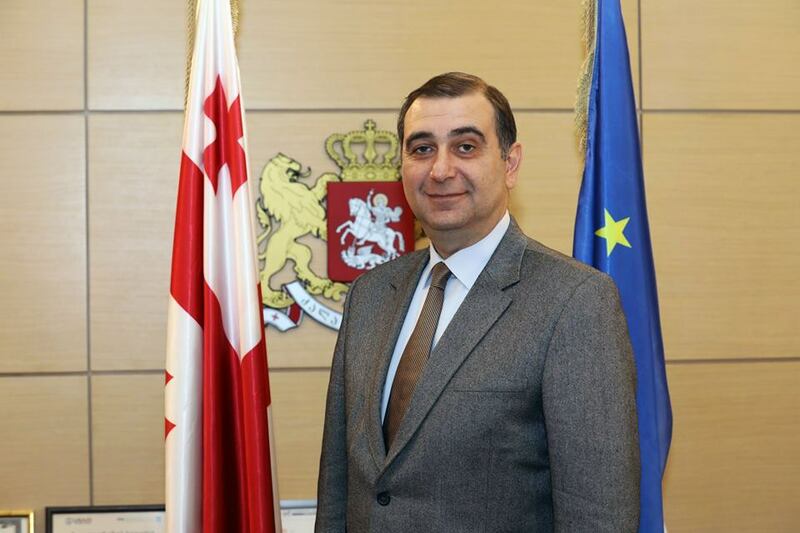 Mikheil Chkhenkeli - the Minister of Education and Science of Georgia has become an honorary member of the Academia Europaea. 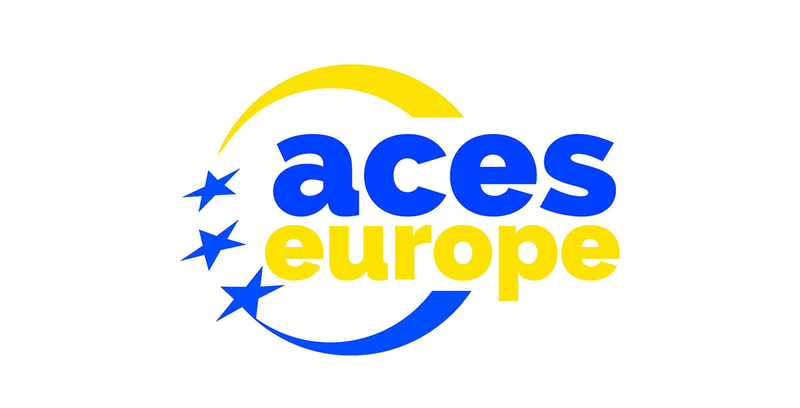 The European Academy was creating in 1988 by the Initiative of the Royal Society of Great Britain, in collaboration with other Academies in Europe. It combines eminent scholars from all over the world and covers entirely all directions of research. With the start of the new academic year, students of I-VI grade will learn with the help of new textbooks and there is no delay in this regard. LEPL Children and Youth Development Fund of the Ministry of Education and Science of Georgia announces the Competition of Ideas, primarily aimed at supporting youth organizations, funding projects within the priorities and facilitating the employment of young people. The "sports-cognitive summer camp" was opened in the village of Manavi. 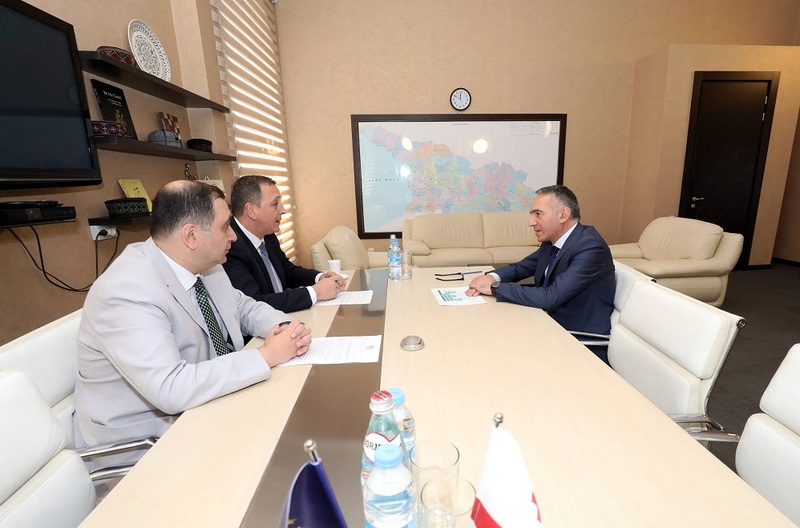 The Minister of Education and Science of Georgia - Mikheil Chkhenkeli attended the meeting with the Deputy Minister of Defense - Nukri Gelashvili and Kakheti region governor - Irakli Kadagishvili. Additionally, Mikheil Chkhenkeli also got acquainted with the activities of teenagers and their living conditions. 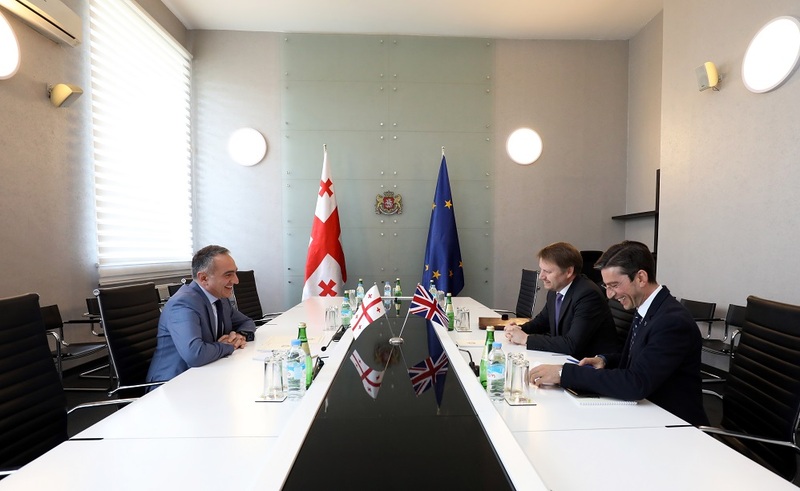 Mikheil Chkhenkeli – the Minister of Education and Science of Georgia held a meeting with Fadia Saadah – the Director of Global Practice of Health, Nutrition and Population of the World Bank. 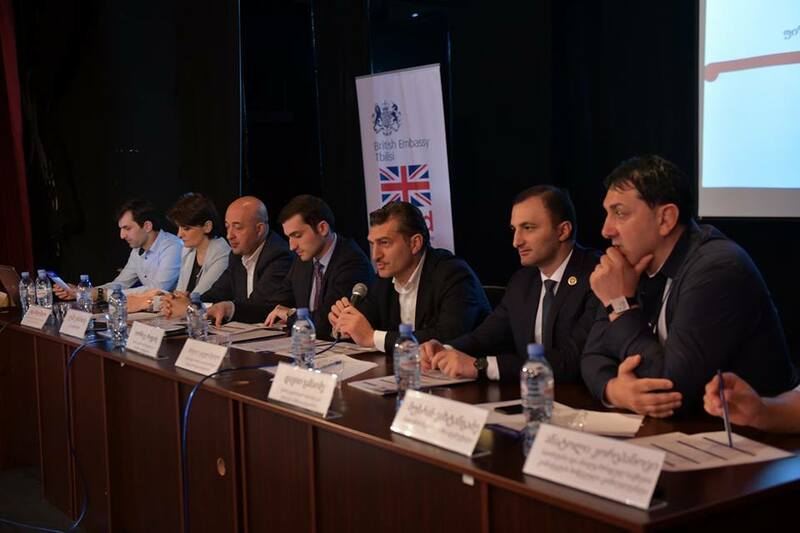 John Smith's Graduates Regional Conference was held at the British Embassy, which was attended by the Minister of Education and Science of Georgia - Mikheil Chkhenkeli. The Minister addressed young leaders from Eastern Europe and Central Asia and wished them success on behalf of the Prime Minister of Georgia - Mamuka Bakhtadze. 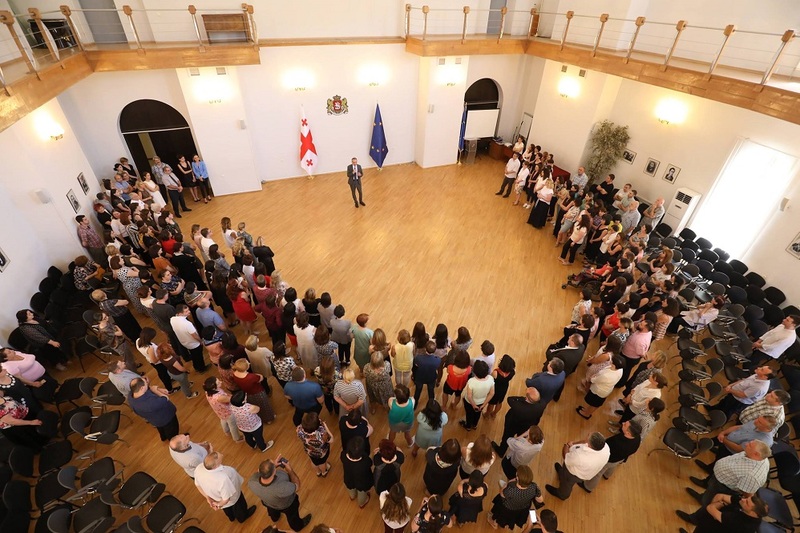 Before the start of the national exams, the Minister of Education and Science of Georgia - Mikheil Chkhenkeli visited the exam centers, wished the entrants success and talked about the innovations that the Ministry will implement in the coming future.